Estimating tools for large format, grand & wide format signs. 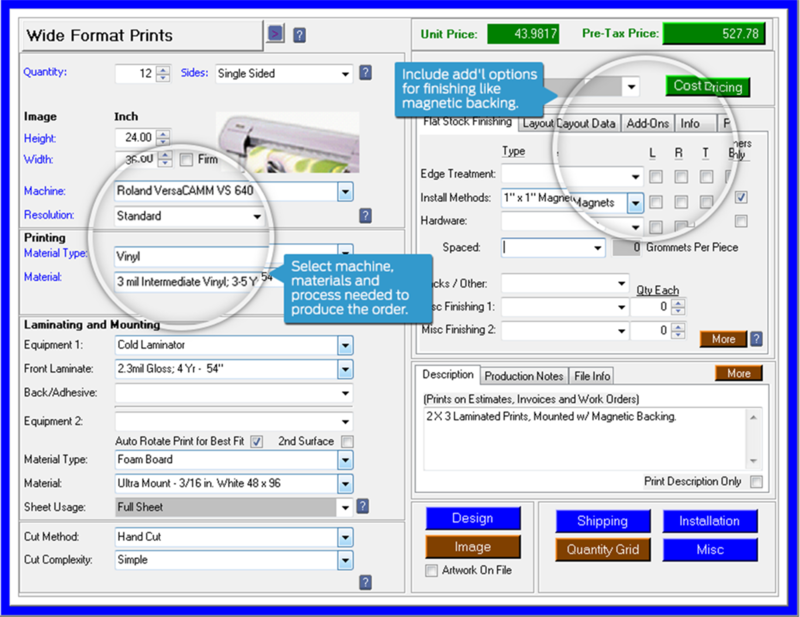 Save your time with detailed pricing screens - information here is automatically converted into work orders, invoices, etc. 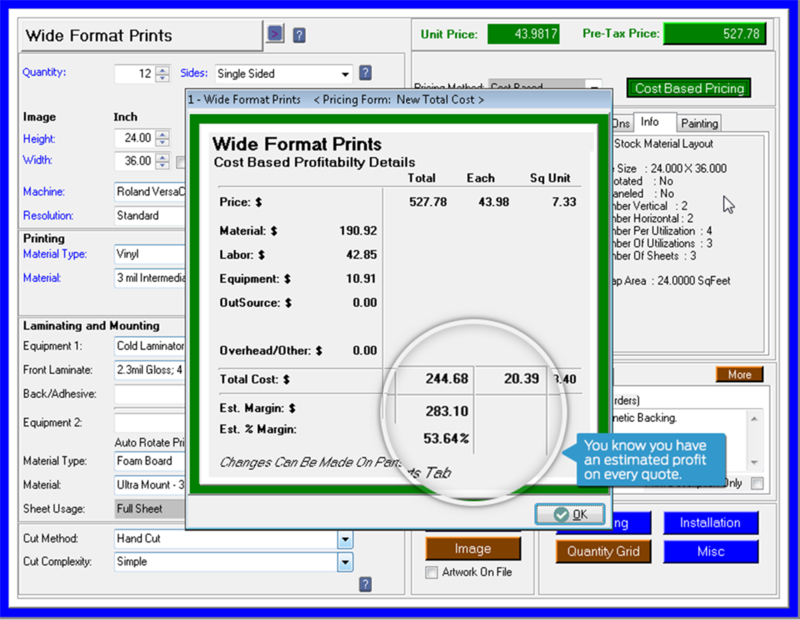 Concerned about profitability when estimating? Not with Cyrious Control. 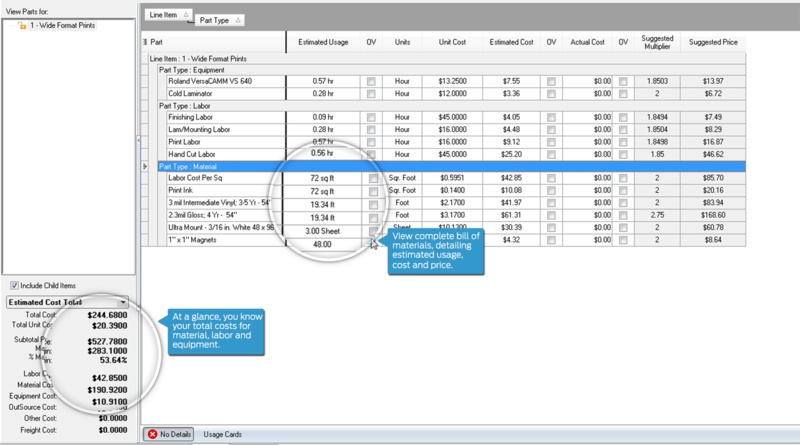 View complete bill of materials and total costs for labor and materials. 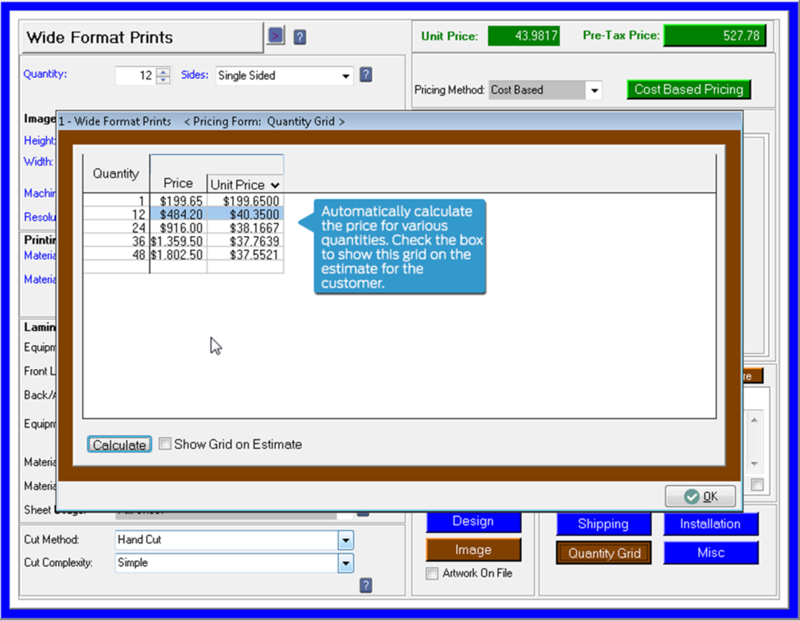 If needed, offer different unit pricing to the customer at select quantities. Gorway moved to Control several years ago and haven’t looked back. The organization it brings to every facet of our business continues to impress me. The Cyrious crew is Serious about forward thinking, listening, and advancing this software.